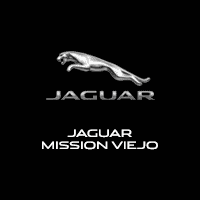 Here at Jaguar Mission Viejo we are proud to be the only AAA Approved Jaguar Land Rover Repair Center in Southern California. 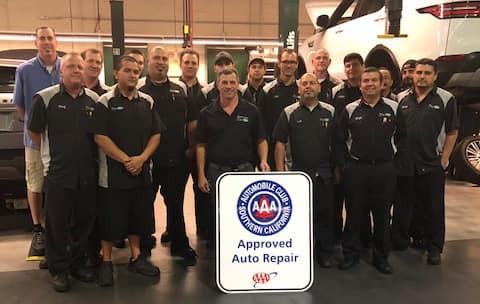 That means that we have met the very high standards of the AAA Approved Auto Repair (AAR) program, and our customers from Coto De Caza to Laguna Beach can count on receiving dependable maintenance and repair services every time they visit our dealership. Learn more about our AAA Approved Auto Care, before you schedule your next Jaguar service appointment. The AAR program provides savings and peace of mind to SoCal drivers by taking the guesswork out of finding a reliable auto service shop. Make sure to note that while we specialize in Jaguar, we also service all other makes and models. Of course it is essential that only genuine Jaguar parts are used when servicing your vehicle, and our Parts Department is well stocked with the parts and accessories that San Juan Capistrano drivers are looking for. If the part you need isn’t currently in stock, we will be happy to order it for you. For your convenience you can also order parts online. If you are shopping for tires, we carry a great selection of Jaguar approved tires for you to choose from. 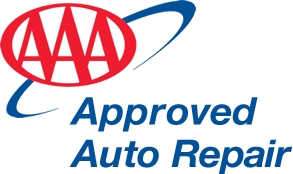 We think that being the only SoCal Jaguar Land Rover repair center to be AAA Approved is pretty special, and we hope that you do to. Drop by our Service Center and put our expert service techs to work for you today. If you have any questions, or would like more information, please don’t hesitate to contact us online today.